What is an Electronic Signature & Does it Have a Legal Leg to Stand on? Does an electronic signature have a legal leg to stand on? Questioning the validity of electronic signatures is natural — folks will sometimes look for anything to dispute a contract so they don’t have to pay or complete services agreed upon. If a client can put the legitimacy of a contract into question — like by claiming an electronic signature or digital signature isn’t enforceable — they may try it. We always believe that knowledge is power and so we go forth today to try to break down what an electronic signature is and if and how it’s legally binding. Looking for an eSignature solution? Here’s a brief video overview of the PandaDoc platform and how we make eSigning as easy as 1,2,3! PandaDoc is a document management platform that allows you to create, send, and sign documents in the cloud. Our clients win more deals, streamline their processes, and save a significant amount of time with our powerful and secure documents platform for web and mobile. What is an electronic signature? 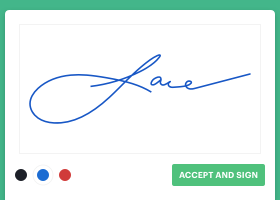 How is it different from regular signatures? Also called a digital signature, it is any way of signing a non-printed document. It can be done with your finger, mouse or stylus or it can be simply typing your name and possible something that verifies your identity, like your birth certificate or the last four digits of our social security number. Electronic signature is the most common turn of phrase often used to refer to either an eSignature, a digital signature or both. However, it should be mentioned that an electronic signature doesn’t necessarily mean legally binding because it refers to any online signature, which can include a copy-paste of your own signature. The somewhat less commonly used term digital signature is actually more of a correct term. Digital signature or standard electronic signature is actually a coded, encrypted, legally binding digital footprint. The digital signature is made of unique encoded messages — one for each signee — that join together to make a complete, legally binding, standard electronically signed document. The answer is that it depends on where you are doing business. In 27 countries — including China, the United States, Russia, Australia, Canada and those in the European Union — electronic signature is legally binding. We strongly believe in the security of electronic signatures, but we also strongly recommend that you research the laws and weight of digital or electronic signatures in your particular country. If you live in a country that hasn’t passed legislation yet, you may, of course, fall under a gray area of the law and your eSignature will be accepted on many, if not most, contracts, however, it may not be legally binding in court. We do not recommend using eSignature blindly — you or your lawyer need to know your own country’s policies. Now, if you are in a country that looks at eSignatures as equal to printed signatures, we say go for it, but be cautious. Simply signing on the dotted digital line does not mean it’s binding. You need a trusted, certified software provider of eSignature like PandaDoc to be sure it’ll hold up in court. Do electronic signatures hold up in court? There are a handful of exceptions regarding what types of documents these Acts cover. Those exceptions include wills, adoption/divorce/family law, uniform commercial code, and court documents. Otherwise, it is widely recognized that electronic signatures do hold up in court. 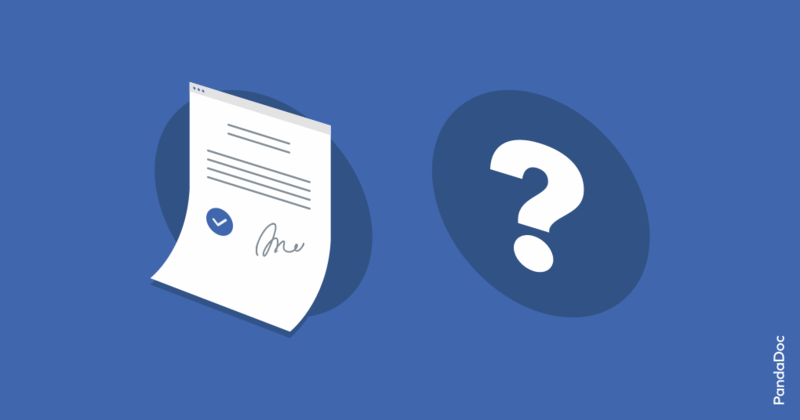 What makes an electronic signature legal? And, if the data has been changed, the signature must be able to be voided. Why should I choose PandaDoc over other solutions like DocuSign? Many people are familiar with eSigning technology thanks to some of the first wave of document technology solutions such as DocuSign. While tools like DocuSign are sufficient for eSigning, collecting the recipient’s signature is only one step of the document workflow. PandaDoc offers an end-to-end document automation solution that’ll help streamline your document process from creating a document (from scratch or from your own templates) to document delivery/tracking and storage. If you’re curious to know more about why PandaDoc is a better alternative to DocuSign, you can learn more here. It’s also natural that you become suspicious of putting your personal data and confidential documents online. However, most of that suspicion is unfounded. Whether in your home, office, mailbox, or recycling bin, 85% of all identity theft cases occur because of offline documents. Of course, you can still worry about the other 15%, however, most of the online identity theft cases come from human error, namely, stupid, lazy and easy-to-guess passwords. Instead of using “QWERTY,” “123456” or your kid’s name as your password, try to make it alphanumeric, blending capital and lowercase letters with numbers and even $#?! symbols. Another lazy habit that risks security is the copy-paste signature — taking a photo or screenshot of your signature and reusing it. Seriously? Obviously, if you leave your signature lying around, people can perhaps find and reuse it. It’s kind of like how you shouldn’t sign the backs of credit cards, but rather write “See I.D.” on them. More importantly, if you use the copy-paste style signature, it calls into question the entire integrity of your electronic signature and of the document as a whole. As long as you apply a sensible password and really sign every time — and encourage your employees to do the same — eSignatures are significantly more secure than the other more mainstream options. 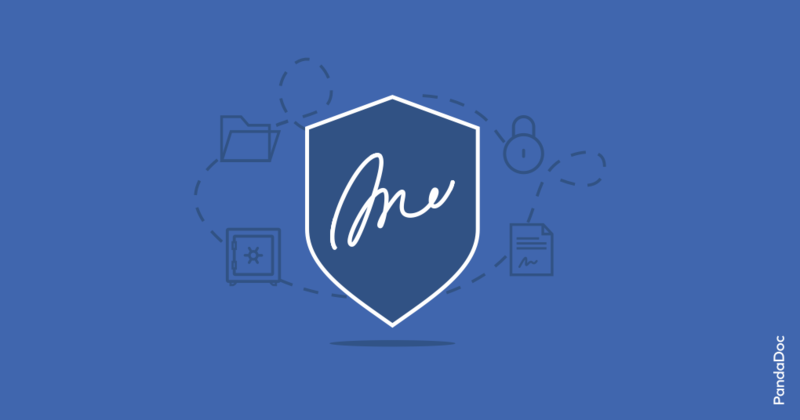 Can you notarize with eSignatures? Of course. If you use a secure document signing system like PandaDoc, multiple signees and witnesses can utilize a legally binding electronic signature. Nowadays, just like eEverything Else, there are eNotaries, which, exactly as it sounds, are people who notarize documents electronically. Most commonly, eNotaries are brought on to validate the electronic signature and the online document, just as they are in the three-dimensional world. This is done by the notary giving her own eSignature and her notary seal, which is connected with an encrypted public key. Of course, this will cost you or your business whatever the notary charges, but it can give you more confidence that the validity of the eSignature and your document or contract as a whole cannot be questioned. When to avoid using electronic signatures? At least for the U.S., you still need to print and ink-sign your tax forms. Lawyers also recommend to go with a printed copy and a written signature for anything “involving a deceased person,” like death notices and wills, or when dealing with mortgages and health insurance. Also, if your country has not assigned a legal standard at which to hold digital signatures, we advise you could be taking a risk and should err on the side of legal caution. Is it worth it to use an electronic signature? Where legally equal to on-paper, absolutely. We’ve already gone into this before, but using electronic signature saves you a ton of time and money — no more printing, signing, scanning or overnight shipping, changing minds… — and it’s more secure. Eugene works at PandaDoc as a Senior Marketing Manager. He is an avid fisherman, taking nearly 20 fishing trips every year.